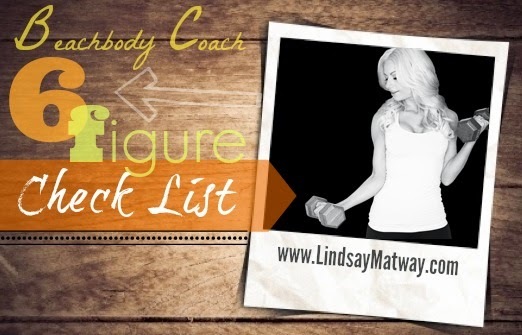 Lindsay Matway : 6 Figure Team Check List! Here are some of the things other leaders in this business have done to get to that 6 figure mark and are still doing NOW to keep growing and helping more people. I want you to review the list below and put a check by the things you are doing and leave it blank if you aren’t doing these things yet. DO NOT CHECK if you aren’t doing these things CONSISTENTLY every single day. Be honest with yourself because this is going to help guide you to reach YOUR goals! I earn success club 10 monthly (minimum 5) without exception! I have scheduled business hours - I am PRESENT and in the moment during this time. I do a getting started right call with my new coaches NO MATTER WHAT. I check back in with my coaches often and focus on THEIR goals, not my goals FOR them. I track my progress using notebook, spreadsheet, evernote, asana, etc. I wake up early and EAT MY FROG (do the thing I tend to avoid most, first! I get on my team's weekly call OR find inspiration through other top leaders and start my OWN team calls. I work from a to do list every single day. I either create my to do list the night before OR early in the morning. I do things that make me uncomfortable in the short term that grow me long term! I am a leader and always do the things I ask of my team! I create systems that are simple for my team. I have made a list of the 10 QUALITIES I would want in a coach on my team and I am actively working on MYSELF in those areas via personal development! I openly share MY fitness and health journey and am vulnerable, real and connected to my followers showing them by my OWN example what is possible with these products! 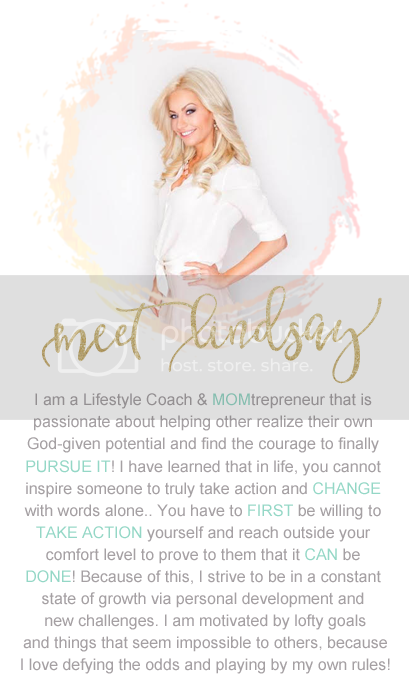 I share about MUCH more than just Beachbody on my FB and focus on ADDING VALUE to my network's lives rather than just selling and recruiting. I know the most important aspect of this business is building trust FIRST. Income Disclaimer and Income Earnings Statement: Beachbody does not guarantee any level of success or income from the Team Beachbody Coach Opportunity. Each Coach’s income depends on his or her own efforts, diligence, and skill. See our Statement of Independent Coach Earnings located in the Coach Online Office for the most recent information on our Coaches’ actual incomes. This is Awesome Lindsay. You rock. My long term goal is to be top 10 someday. I can do this. Today is my 6 month anniversary as a coach and I am pumped to see where I can go from here. 5 months... without a product!) .... for a VERY short time.